In a letter, addressed to Chief Justice of India H.L. Dattu, Chief Justice of Delhi G. Rohini and Chairman of Intellectual Property Appellate Board Justice K.N. Basha, the “Campaign for Affordable Trastuzumab”, has put forward its concerns regarding the Intellectual Property Association’s scheduled meetings with the IPAB and the Delhi High Court. It alleged that these meetings are “blatant attempts to influence the judicial outcomes in cases relating to drug patent disputes that are currently before the courts.” The letter says that IPAB will soon be hearing appeals from some IPOA member companies against the rejection of their patent applications by the Indian Patent Office. The letter, signed by the Campaign coordinator, Kalyani Menon-Sen, Lawyer and health rights activists, Leena Menghaney and K.M. Gopa Kumar, raises concerns regarding the serious conflict of interest involved in such meetings, which would cast a dark shadow on the neutrality of the judiciary. The letter hence requested the cancelling of any scheduled meetings with the IPOA delegation. The High Courts and in particular the Delhi High Court are handling multiple litigations that demand the balancing of private IP rights with the fundamental rights to life and health enshrined in the Indian Constitution. Many of the members of the IPOA, notably Bristol-Myers Squibb Co, Roche Inc., Pfizer Inc. and Merck & Co, have cases and appeals pending before the IPAB and the Delhi High Court. The letter questioned the “ethics and propriety” of meetings and interactions between the judiciary and the IPOA delegation. It cites the example of Justice Dalveer Bhandari who recused himself from Novartis AG v. Union of India citing his participation in two of the International Judges Conferences organized by IPOA. 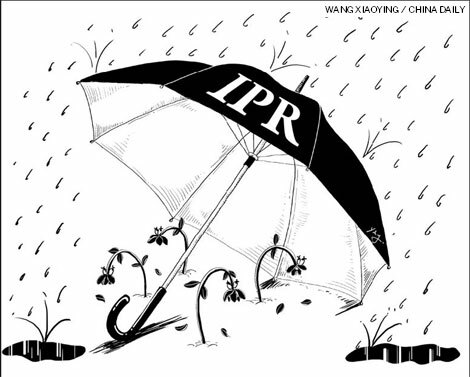 “At the end of the day, the stated aim of the IPOA is to function is to promote the case of its member entities, and, is thus no more than a lobbying organization set up by corporate interests to promote their restricted view of intellectual property,” the letters adds. The issue related to the Campaign for Affordable Trastuzumab, which is the drug for curing breast cancer. The letter was written on behalf of a network of treatment activists, patients and public interest lawyers, committed to making this drug affordable in India. It blames Swiss pharmaceutical company Hoffmann-La Roche Ltd, for trying to gain control over the market for the life saving drug (Trastuzumab), blocking access to treatment for many women diagnosed and suffering from HER2+ breast cancer. It refers to the recent litigation by the Swiss Company, as “vexatious”, and accuses it of misusing patent rights. The letter expressed their concern about the intent and purpose of the “Innovation Dialog” being organized in India from November 16-22, 2014 by the Intellectual Property Owners Association (IPOA). “It's especially troubling, since there are areas –such as medicines - where over-aggressive use of intellectual property have been most damaging, locking up access to affordable treatment, rather than increasing the kind of competition that drives follow on innovation forward,” it adds. The event includes meetings with the IPAB, the Delhi High Court and the offices of the Controller of Patents. The agenda also shows a scheduled visit to the Supreme Court of India. “The claim that these meetings are being organized to “share experiences and perspectives on intellectual property and practice with patent practitioners and the judiciary of India” is a shameless ruse – the intent is clearly to create an opportunity for multinational pharmaceutical companies to lobby on contentious issues that are taking center stage in the struggle over the interpretation of India's medicines patent law,” it says. The letter appreciated the Supreme Court’s seriousness, with which it viewed the allegation of 2G scam accused and coal scam accused meeting CBI director Ranjit Sinha. Earlier in 2010, a judges' roundtable on intellectual rights property adjudication, jointly organized by Federation of Indian Chambers of Commerce and Industry (FICCI) and Maharashtra State Judicial Academy, was severely criticized for putting forward a distorted picture of IP protection, conveying only the industry's views and interests, without anyone to represent public interest, in an attempt to influence judges and law and policy makers dealing with intellectual property cases. The Campaign for Affordable Trastuzumab was launched in November 2012 and endorsed at the time by over 200 Indian and global patient associations, cancer survivors, health movements, women’s rights activists and eminent jurists. In 2012 as well, they had written a letter to Prime Minister Manmohan Singh, urging him to take immediate steps to make the cancer drug Trastuzumab available free at public cancer treatment facilities, and at an affordable price in the private market. The health safeguards introduced by the Parliament, in the form of provisions such as Section 3(d) of Indian Patents Act, 1970, have worked to prevent companies from seeking patent extensions by tweaking existing drugs. 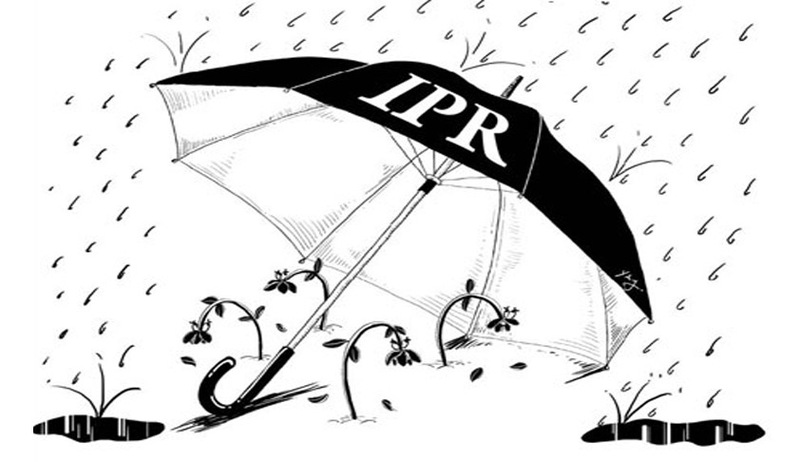 Many IPOA member-companies have constantly challenged these safeguards by filing cases against the government. The Judiciary and the patent offices have however contributed greatly to maintain the safeguards. Hence, any attempt to influence these knights in shining armors, should be prevented. Read the letter written in 2012, here. Read the letter written in 2014, here. Access the IPOA schedule here.